Pierre Huyghe is the catalogue of the artist’s travelling retrospective that started in December 2013 in Centre Pompidou, visited the Ludwig Museum in 2014 and ends right now in LACMA. 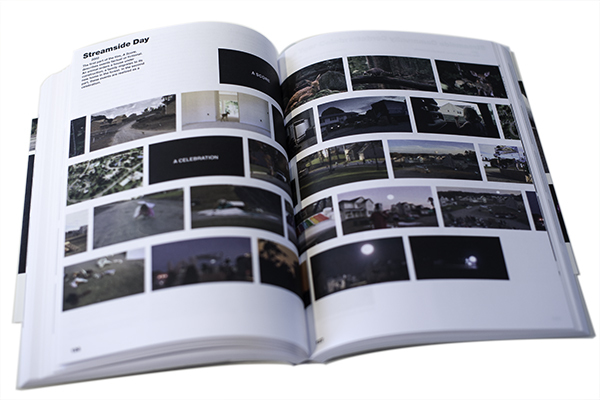 800 pictures of 90 projects illustrate Huyghe’s career of more than 20 years and give insight into the sometimes complex narratives that underpin the highly varied body of work of this leading figure of the relational aesthetics movement. 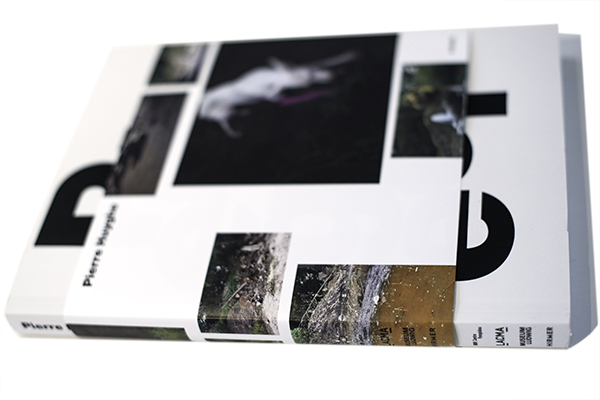 The catalogue, published by Hirmer Verlag in both German and English, is a chronological journey through Huyghe’s work starting with photographs from the 80s but focussing on mainly on the 90s and 2000s. Documenting work that comes in so many forms and for which the context is often the key to understand the artistic motivations is not easy. The book has an almost fanzine feel. 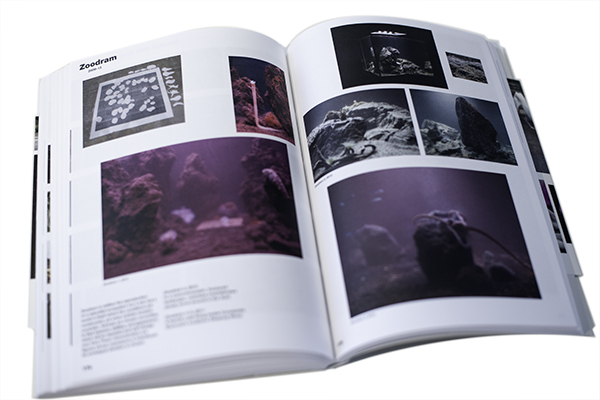 Pages are beautifully laid out with multiple snapshots, taking you deeper and deeper in Huyghe’s world – an intriguing place populated with plants, animals, insects etc. 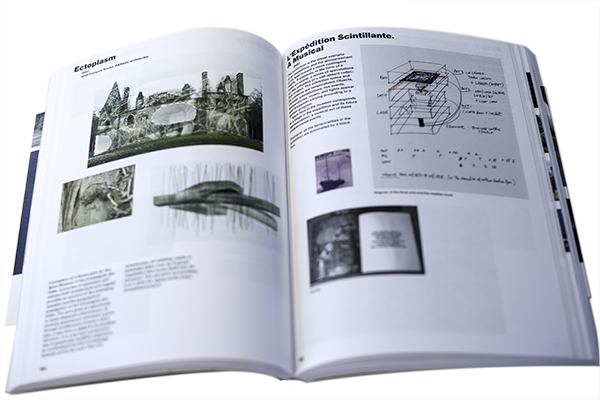 The graphic design approach of balancing structure and chaos works really well, uniting the vast variety of media and makes the book engaging and pleasant to read. Title, year and short paragraphs of text provide context for each work and the essays at the end of the book are giving further insights, but it stays challenging to understand the full meaning of what Huyghe does. 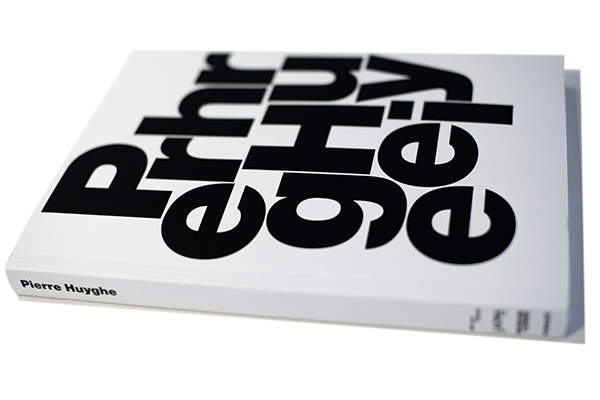 Perhaps the catalogue has the impossible ambition – similar to the retrospective it accompanies – to summarise the oeuvre of an artist whose work lives in the relationship between his creation and the viewer. 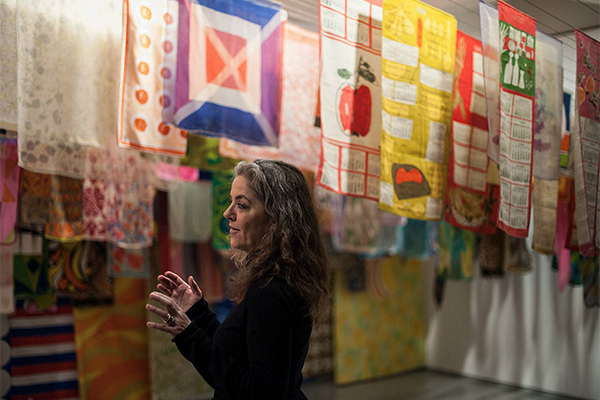 Work that is born out of interaction and that is often specific to the context in which it is seen. This said, it has been a true pleasure to spend time with Huyghe’s work. It will always be enigmatic but after looking through this publication one starts understanding some narratives — and especially realises that Huyghe’s artistic brainpower is just too potent to be wrapped into a picture, or a museum show, probably even for this world. Simon Fujiwara displays everyday consumer objects next to artworks and artefacts from the post-Thatcherite period, painting a humorous/ ironic image of what life looks like in Britain today and in the recent past. 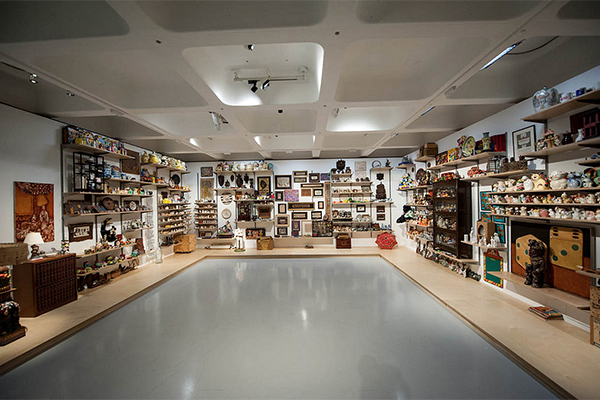 Objects vary from a replica of Margaret’s Thatcher’s characteristic blue suit (worn by Meryl Streep in the Iron Lady movie), through Sam Taylor Johnson’s video of David Beckham Sleeping to a set of empty plastic spice packaging from Waitrose. Jane & Louise Wilson‘s section focuses on three locations (Peterlee, Greenham Common and Northern Ireland) associated with social and political protests in 20th century Britain and how they have been portrayed or transformed by art/artists. 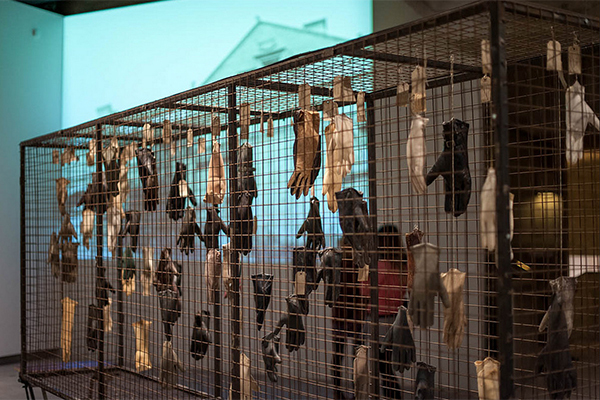 Exhibits include architectural models of the visionary but severely criticised modernist architect Victor Pasmore for Peterlee; Stuart Brisley’s 1=66,666 installation, where 60 bloated gloves filled with plaster and suspended in a large cage represent the 4 million of unemployed people in Britain in 1983; a print portfolio put together by artists Richard Hamilton, Jim Dine and Dieter Roth to raise money for the Greenham Common’s women peace camps; and Conrad Atkinson’s photographic series from Northern Ireland during the Troubles. Hannah Starkey positions art- and commercial photography side by side in both visually and intellectually charged installation, hoping to underline the need for more profound engagement with contemporary visual culture. Roger Hiorns digs deep into the history of the Mad Cow disease, which reached its peak in Britain in the 80s and the 90s. A vast display of media articles, scientific reports, models, equipment, video documentaries etc. document the epidemic and show its impact on agriculture, economy, science and society in general. 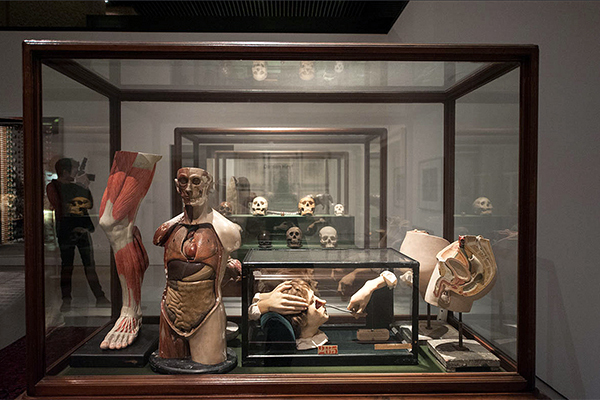 Artworks include Damien Hirst’s Out of Sight, Out of Mind – two cow heads in formaldehyde (created in 1991) and Mad Cow Talks, series of slides and audio lectures by artist and activist Gustav Metzger (created 1996 and partially reconstructed by Hiorns this year). 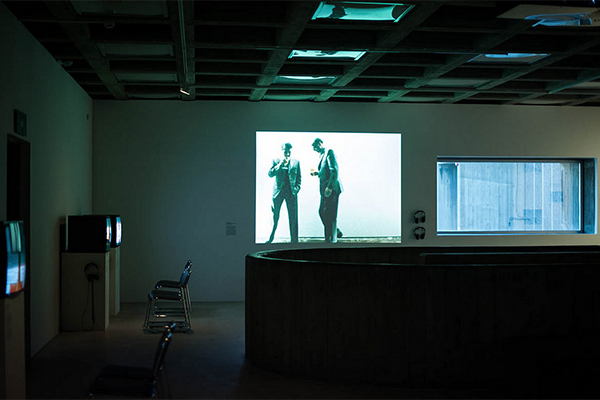 The section curated by filmmaker John Akomfrah consists of 17 films from the British Arts Council Film Collection. Akomfrah selected experimental pieces that can be seen as important steps in transforming film from documentary to an autonomous artistic medium over the last 60+ years. 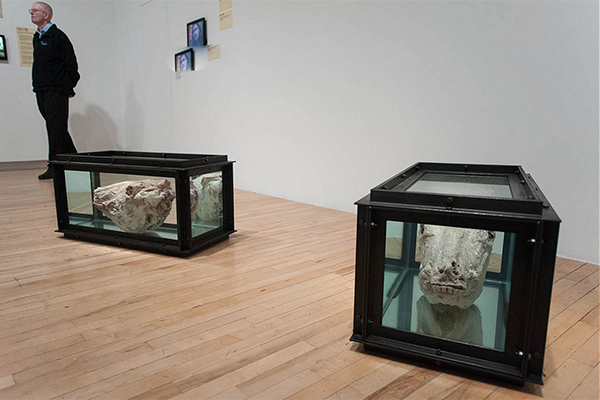 They include Malcolm Le Grice’s Whitchurch Down (1971), The World of Gilbert & George (1981) and Stuart Brisley and Ken Mullen’s collaborative work Being and Doing (1984). Richard Wentworth covers the the post-WW2 and the Cold War years, with focus on how military, medical and technological progress impacted everyday life in Britain during that period. 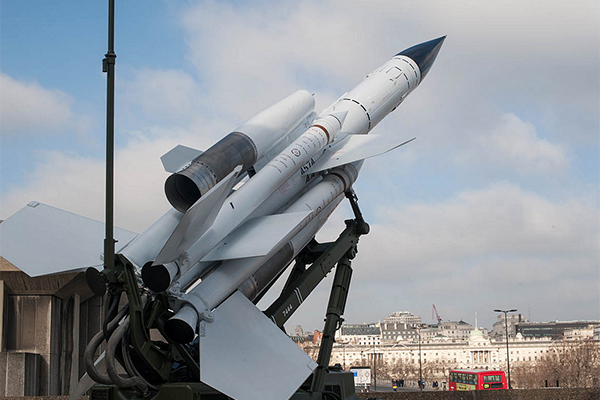 His section undoubtedly includes the most eye-catching piece of the show: a Bloodhound Mark 2 Surface-to-Air Missile, taking over half of the Gallery’s terrace and pointing towards the City. 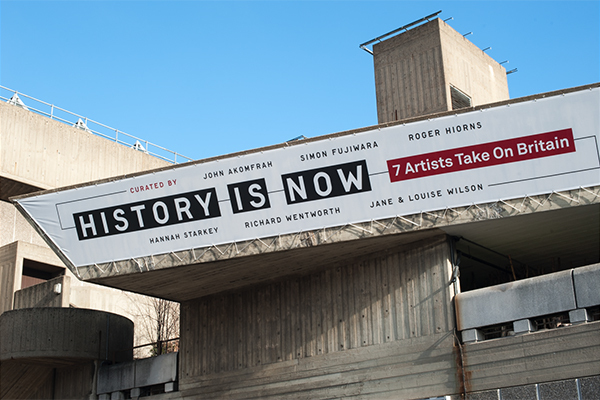 History Is Now: 7 Artists Take On Britain runs at the Hayward Gallery from 10 Feb—26 Apr 2015. 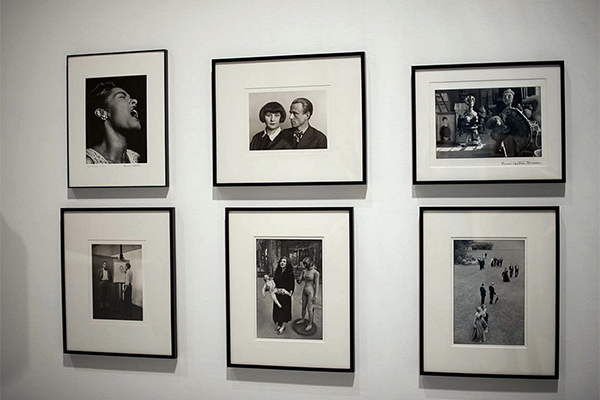 Magnificent Obsessions PHOTOS presents objects from a number of captivating personal collections of 14 post-war and contemporary artists. 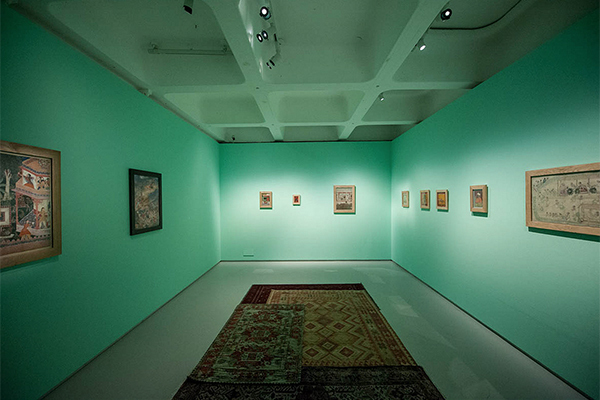 From popular collectibles through rare artefacts to natural history specimen, the objects are shown next to examples of the artists’ own works, drawing parallels between both and offering an intriguing glimpse into their lives, interests, compulsions and inspirational sources. 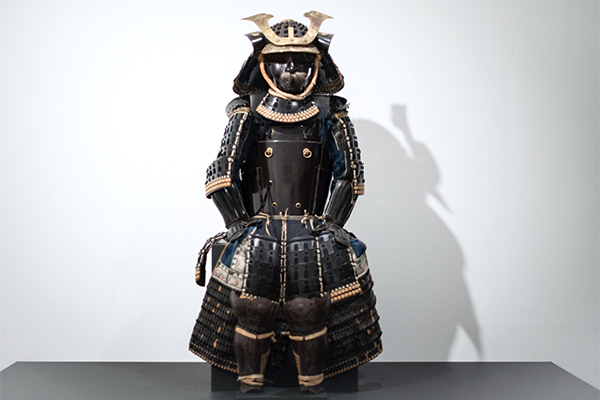 The artists/collectors are: Dr Lakra, Hiroshi Sugimoto, Edmund de Waal, Peter Blake, Andy Warhol, Sol LeWitt, Hanne Darboven, Damien Hirst, Danh Vo, Jim Shaw, Martin Parr, Pae White, Howard Hodgkin and Arman. 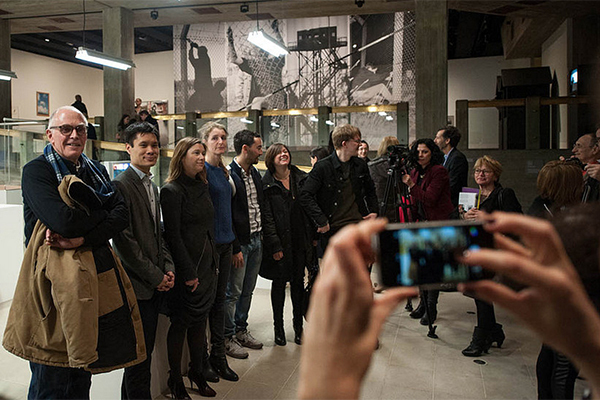 The exhibition was curated by Lydia Yee and beautifully produced by Dyvik Kahlen Architects. It is accompanied by a series of interesting events and a lovely catalogue with the artists’ interviews and photos of their collections in situ. Edmund De Waal is a London-based ceramicist and writer. 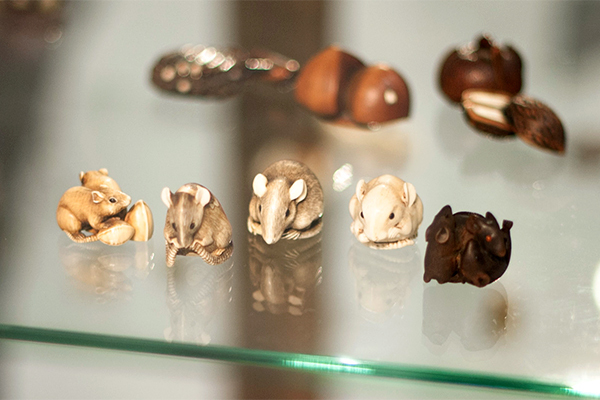 After inheriting 264 netsuke – a miniature, hand-carved objects used as toggles for Japanese traditional kimono dresses – from his great uncle, he spent several years researching the history of the collection, resulting in a fascinating family memoir The Hare with Amber Eyes. 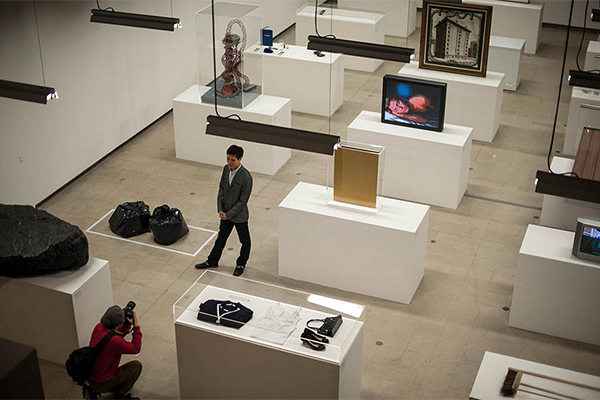 Danh Vo’s work often deals with the themes of private experience and collective history emerging from research, chance encounters and personal negotiations. 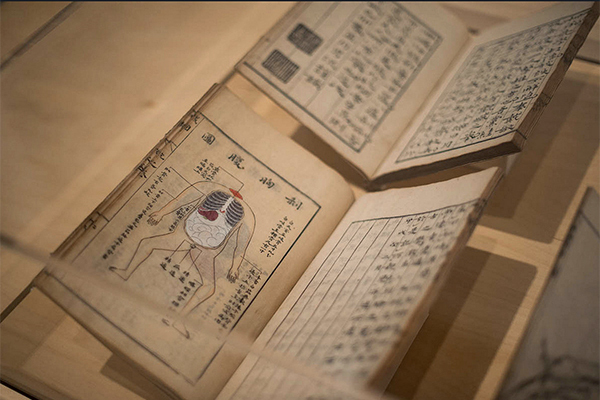 His installation in Barbican is very much linked to these concepts as well as to a touching personal story. 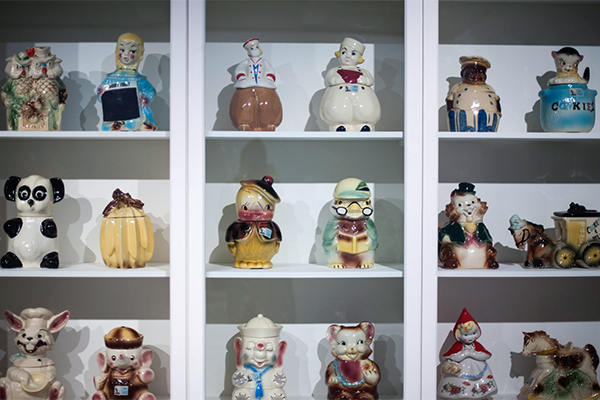 It shows the fascinating collection of cultural artefacts, Americana and kitsch assembled by artist Martin Wong and his mother throughout their lives. 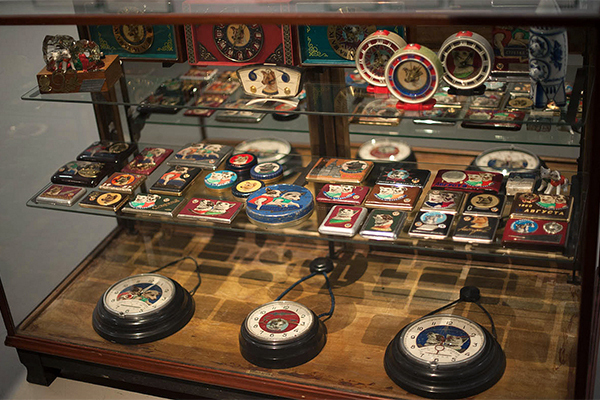 After seeing the collection of nearly 4.000 objects in San Francisco, Vo tried to find a museum that would display it. 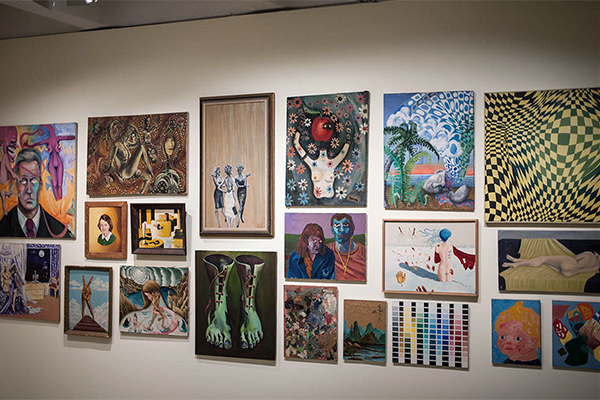 But it was only after he acquired the collection himself and presented it with a selection of Wong’s paintings, that it found a permanent home in the Walker Art Center of Minneapolis. The installation is titled IMUUR2 (formulation used by Wong on his business cards and stamps) and it is attributed to both Wong and Vo. It was awarded the 2012 Hugo Boss price. Dr Lakra is a Mexican tattoo artist, whose delightfully eerie drawings and sculptures soon became hit also in the serious contemporary art circles. He is known for using found images and objects, such as dolls, medical illustrations, and clippings from vintage Mexican magazines in his work. 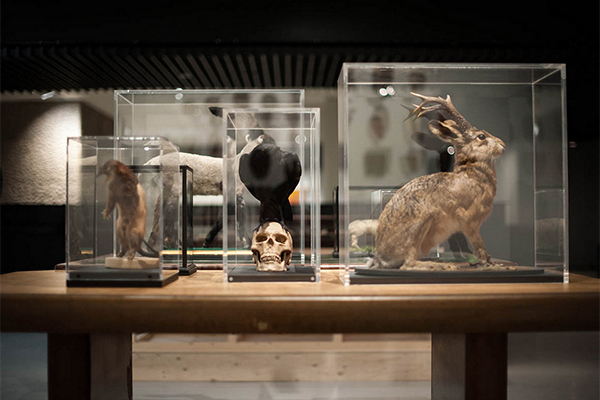 Inevitably, he’s an avid collector of all kinds of ephemera, which he uses both as inspiration and as source material. 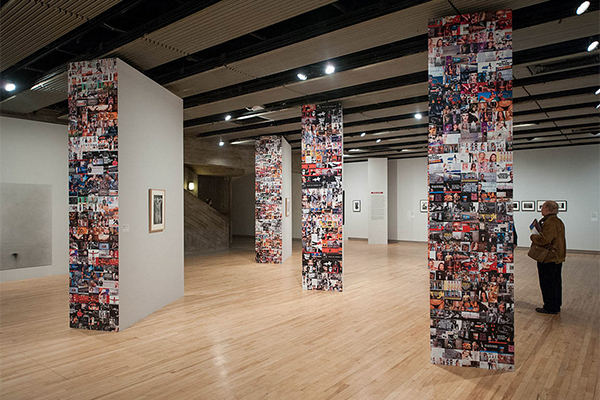 In Barbican he shows his extensive collection of LP covers and several of his scrapbooks. 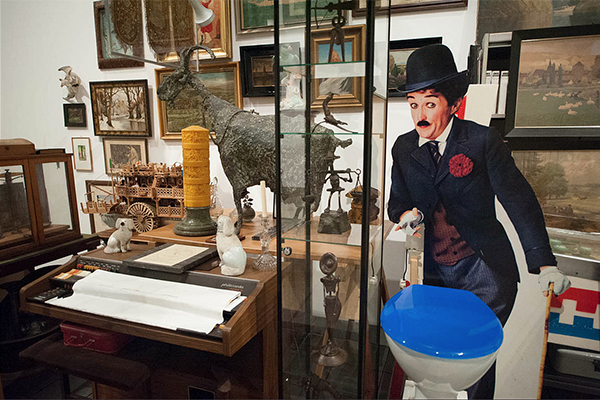 Magnificent Obsessions: The Artist as Collector runs in Barbican from 12 Feb-25 May 2015.